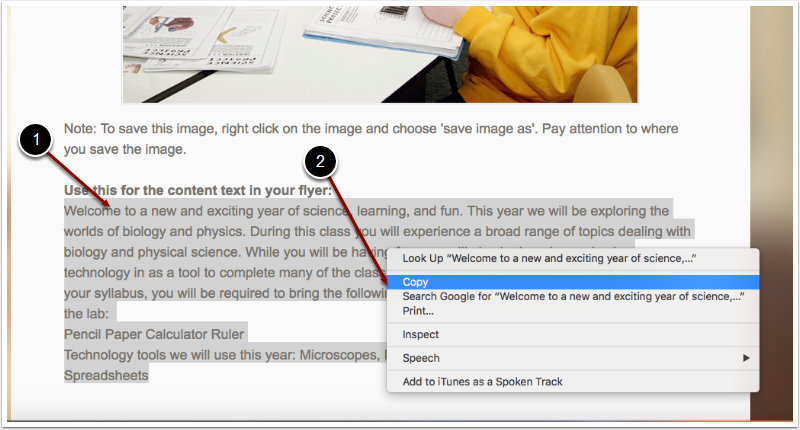 EdTech Help GuidesED206 Word TCAHow Do I Copy And Paste Content And Clear Source Formatting? Below are instuctions on how to copy and paste content as well as clearing the source formatting. 1. To copy the text, highlight the text you want. 2. 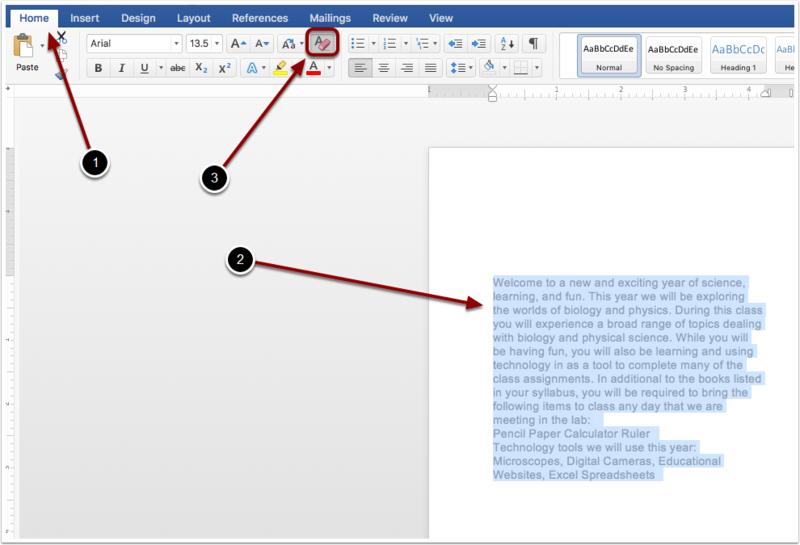 Next (while the text is highlighted), right click using your mouse or keypad and select "copy". If the Mac doesn't give you the option to right click. Use the keyboard and hold down the command key along with the C key to copy. 3. Next go to the word document and right click again, this time selecting "paste". 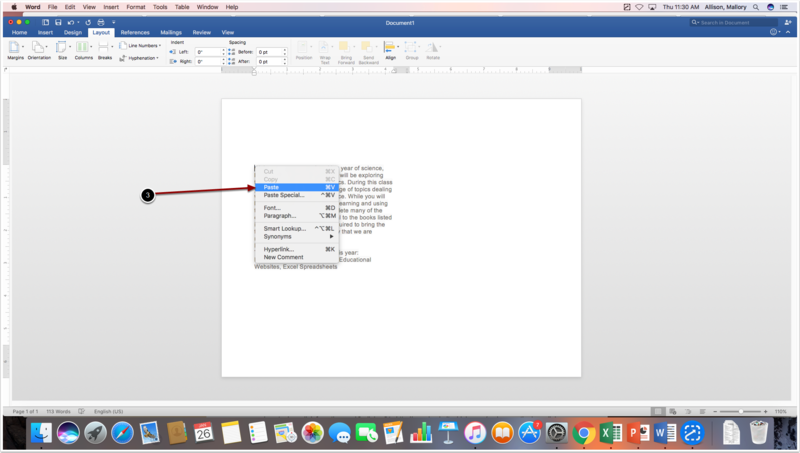 If you are using a Mac computer that doesn't give you the option to right click, using the keyboard select the command key along with the v key to paste. 1. The first step is to select the home tab. 2. Next highlight the text. 3. Finally, click the icon shown above (it is an A with an eraser next to it). Prev: How Do I Edit The Page Layout? Next: How Do I Insert A Bulleted List And A Table?